How gorgeous is Spring! I feel an absolute lift to my spirit now that a few layers of clothes are shed. What is it about taking ones clothes off that makes us happy? Ha! We have been doing good on the house front. A new garden bed and painting the west side of the house are the latest projects undertaken. The race to get the house painted is apparently with the weather. It HAS to be done before summer really hits as painting on the western wall in the sun will be a bee-arch. So, I am a weekend widow. Can I complain? Don't think I really should as he is working on our home - still! Here is a snapshot of the last week. 1// So our cottage was built in the 1950's and in that time, the house has been painted once. ONCE! We know this as the paint on the western wall was simply peeling off. We are also doing a sneaky... well not sneaky so much as smart. So the rest of the house is a really dark blue, almost black. Love it but if we painted the western wall this same dark colour, summer would be unbearable due to the absorption of heat. So we are painting it white, to help reflect the heat. Sound stupid? Hmm, maybe. It can't be seen from the street, so we don't really mind. Hopefully the plan works. ANYWAY back to this pic... Before you paint, you have to wash. Washing requires water and where there is water, there is the opportunity to make mud. And what does every little and big boy in my family love... muddy puddles! These two kids were having so much fun jumping around and splatting mud on the walls that I couldn't help but try to capture the moment. Daddy is always so much fun! 2// We have a new green friend in our bathroom. 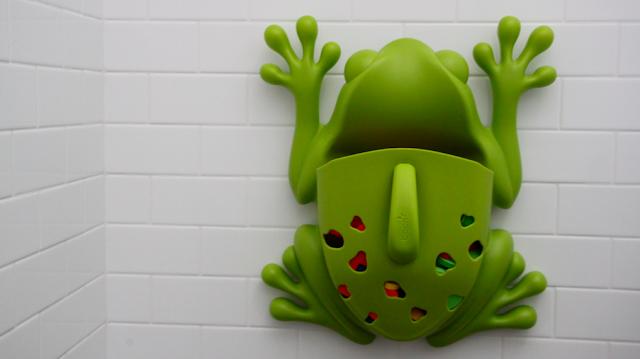 The Boon Frog Pod. Hello friend, welcome! I got so sick of toys lying all around the bath with no place to go. I searched for some good looking options. Mr froggy is what I found. You can also get a lady bird. I thought the froggy was super cute. Like him? 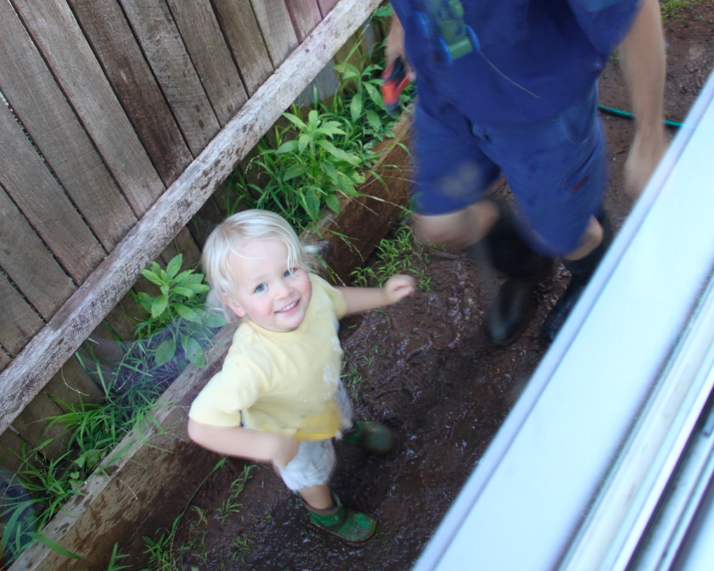 3// When we installed litte man's new cubby, we covered the old ground level veggie patch. As we couldn't live without a veggie patch, we had made a Colourbond one, colour which matches the new roof! Ha! We spent months building up the quality of the soil, mulching, composting, fertilising. Finally we planted it out and finally we are seeing some results. This pic is some of my yummy spinach. The leaves are massive. So proud! 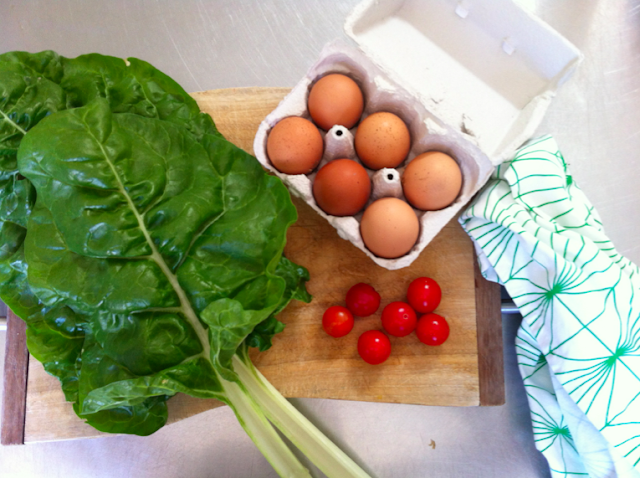 The eggs are from my neighbour who drops them over each week. Such a sweet man. In return I bake for him. The tomatoes are from The Beaches Market. I am there each Friday. A lovely way to spend a Friday morning. What a great morning feast! 4// Now these babies are amazing. 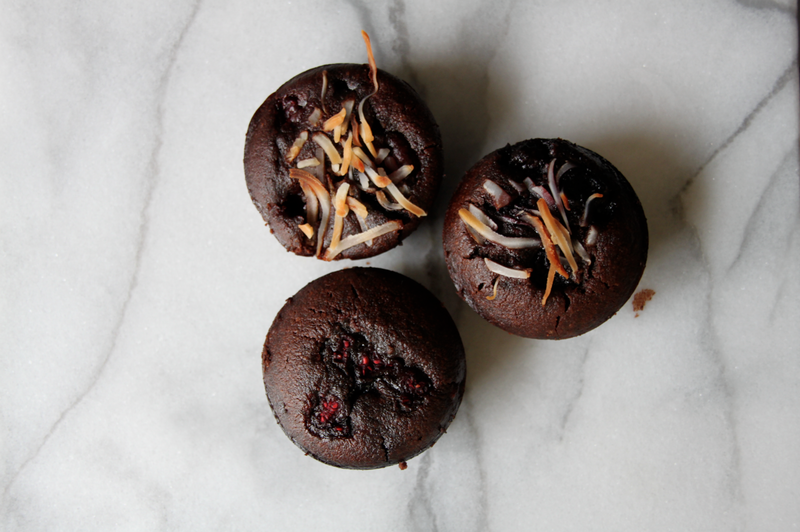 Sugar free, wheat free, gluten free, can be dairy free. Amazing right! The original recipe is from Teresa Cutter, I have just added some fruit and sprinkled coconut ontop. 100% guilt free pleasure. Below is the recipe. If you can't eat nuts, head to her website, she has some great substitution ideas too. Go knock yourself out! Add into the one bowl and mix. Add fruit last so they don't break up. Pour into patty cases or pans and bake at 160c (fan forced) for 20mins. Done when skewer comes out clean. note: the fruit makes them moist, gooey almost. For real cake texture, leave fruit out. It is just as yum.